If you are looking to buy the best device for reading books, any member of the Kindle e-reader family marketed and designed by Amazon makes a smart choice. Kindles are perfect if you want to enjoy reading for hours without feeling strained or distracted. 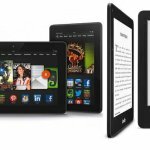 The straight-up Kindle is expressly designed for e-reading without disruptions like push notifications or message alerts. You can take advantage of the Amazon library with of over 2 million books including Kindle exclusive and all the latest bestsellers. If your eyesight is starting to play up, you can enjoy a supersized font to enhance your reading pleasure. All fonts have been designed for maximum comfort and readability. 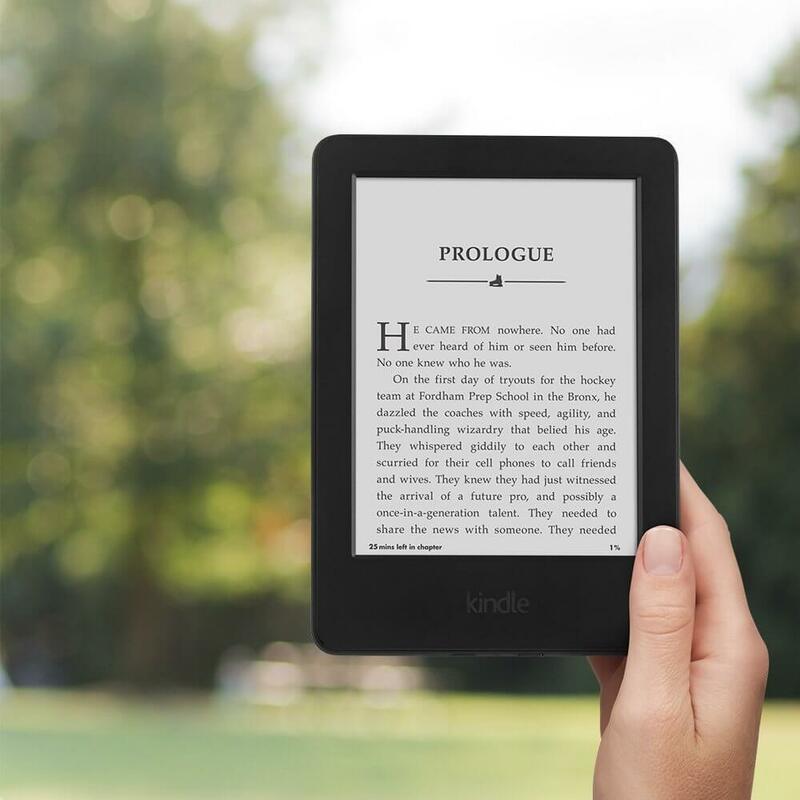 With E Ink technology, the Kindle range is made for the purist reader. Although it includes a modest web browser, there’s no capability for streaming movies, listening to audio books or playing games. The Kindles offer a serviceable replacement for physical books. If your prime focus is on reading only or you already own a tablet anyway, shoot for a Kindle. Save money on a device lasered in on precisely what you need. The Fire series allows you to do much more than just read. Comparable to a lower-end tablet, whether you want to browse the web, play games, stream movies or listen to music, Fire lets you do all this and far more. On the flipside, reading is not such a natural experience. If you are looking for multimedia functionality rather than being limited to text-only e-books, think seriously about investing in a Fire instead. 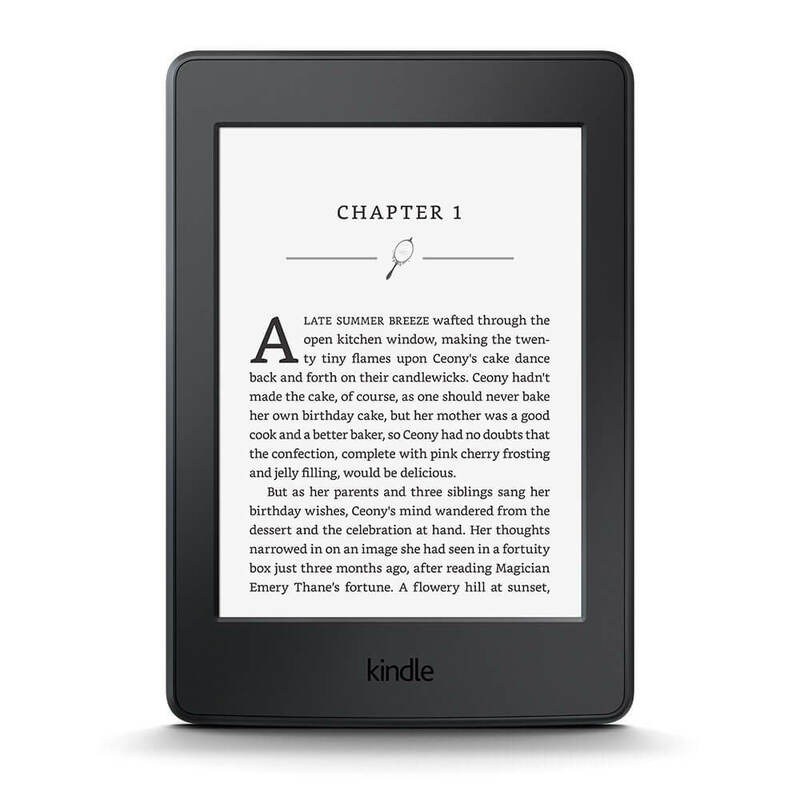 This basic e-reader is the simplest of all offerings from Amazon. Apart from being extremely user-friendly, this Kindle is also highly affordable. It has a 6-inch screen with an 800 x 600 resolution translating to 167 PPI and lasts for weeks between charges. Perhaps the leading advantage of this device is that there are few to no distraction and you can concentrate on reading without your mind being pulled in many other directions. 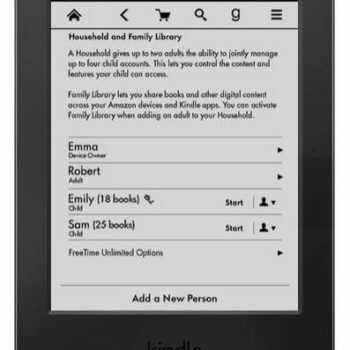 Amazon offers the basic Kindle in a bundled package targeted at kids. 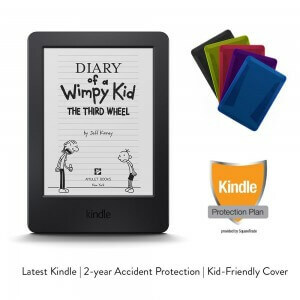 This bundle is a Basic Kindle with a child-friendly case and a 2-year warranty as protection against being handled by children. The Kindle for Kids Bundle is a cheaper alternative to kitting out the Kindle for your child separately and that warranty gives you complete peace of mind. Kindle Paperwhite has audio capabilities and can read the text aloud for you. The nifty X-ray feature sets Kindle Paperwhite apart from other Amazon e-readers. You can search for historical figures, interesting phrases or characters in the text just by clicking a word making fuller use of the text. Kindle Paperwhite comes with 3G and/or Wi-Fi so choose what works best for you. There’s an adjustable built-in backlight meaning you can read in comfort whatever the lighting conditions. If your budget is a little more fluid, it’s well worth considering Paperwhite. Kindle Voyage comes with 3G and/or Wi-Fi and has a 6-inch display. With up to 6 weeks of battery life, this wafer-thin model is packed with extra features for demanding readers. The brightness of its flush glass screen automatically adjusts according to the environment. This is not the device for you if you want to kick back with a movie but for advanced and uncompromising readers, it’s a wise bet. The Fire range is comprised of multipurpose tablets at a very keen price point. If you don’t already own a tablet and want to combine reading with a range of other web-based tasks, it’s a smart move to opt for a Fire rather than a Kindle. 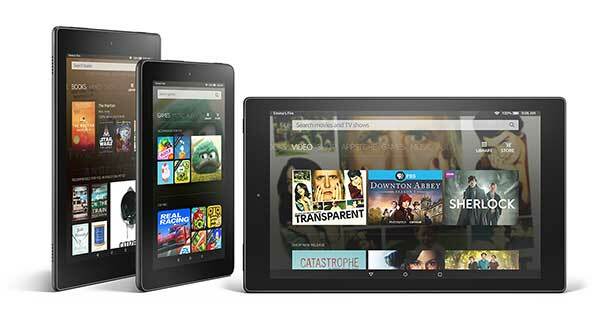 We explore all of these tablets in detail here at Pick My Reader so you can get the best one for your needs fuss-free. Last updated by David Richardson at February 13, 2018 . If you are looking to buy the best e-reader for reading books, any device in the Kindle e-reader family, marketed and designed by Amazon.com, is certainly the correct pick.